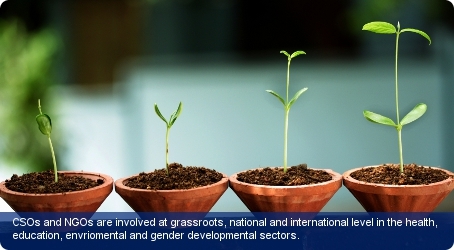 Non-governmental organisations (NGOs) and civil society organisations (CSOs) are involved at grassroots, national and international level in the health, education, environmental, and gender developmental sectors. The Tonga Association of Non-Governmental Organisations (TANGO) is the country’s recognised umbrella organisation for NGOs. The umbrella body for international Non-governmental organisations (INGOs) in the country is the Pacific Islands Association of Non-Governmental Organisations (PIANGO) which works alongside other NGOs operating in gender and disability issues. Other organisations support the government’s attempt to lessen the differences between the outer and main islands by developing agricultural and marine resources. Active and influential NGOs include the Tonga Family Planning Association, an NGO working in reproductive health; the Tonga National Youth Congress, a national umbrella organisation in Tonga focusing on the interests of youth; and Langafonua ‘a e Fefine Tonga, the national NGO umbrella for all women’s organisations in Tonga. Langafonua ‘a e Fefine Tonga, literally meaning ‘nation building by women’, was initially established as an independent NGO in 1956; it has more recently been reconstituted as the National Council for Women and co-ordinating body for women’s NGOs. The 1964 Act of Parliament provides the legislation needed for unions to be formed as there are no formalised trade unions in the country. Despite this, various organisations are in place and act as de facto unions for public servants and teachers. Employers and employees in the private sector establish working conditions and salaries by direct negotiation.